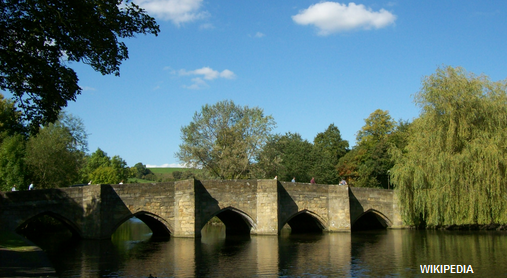 A third transmitter is to be added to Derbyshire's DAB digital radio multiplex on Friday, enhancing reception of local DAB in parts of the Peak District, including Bakewell. The service will broadcast from the Stanton Moor transmitter, also serving parts of Matlock and improving reception along the A6. The local DAB multiplex, carrying BBC Radio Derby, Gem 106, Gold, Heart and regional versions of Capital and Smooth launched in Derby in July from the Quarndon transmitter. Localised reception as far north as Bakewell was reported, but now the Stanton Moor transmitter will provide a more reliable service across the Derbyshire Dales, although the hilly terrain will challenge reception in hard-to-reach places; one of the reasons why BBC Radio Derby's AM service was excluded from the broadcaster's cost-cutting plans. Reception of the regional commercial stations Smooth and Gem 106 on FM is patchy in this area, so for some listeners, these stations will become available terrestrially for the first time. In October, the second Derbyshire DAB transmitter was brought into service at the Lichfield (Hints) mast, enabling BBC Radio Derby listeners in its East Staffordshire coverage area to listen on DAB. The switch-on of the Stanton Moor transmitter ends the initial roll-out of the Derbyshire DAB multiplex, but there are long term plans to enhance local DAB coverage further. Originally, the Derbyshire DAB multiplex was due to cover Chesterfield, but following a replan of local DAB, coverage maps showing the "editorial area" of the Derbyshire DAB multiplex exclude the town with the crooked spire. Chesterfield is shown in the most recent Ofcom documents as solely being under South Yorkshire's DAB coverage area.